This little piece is a gem. 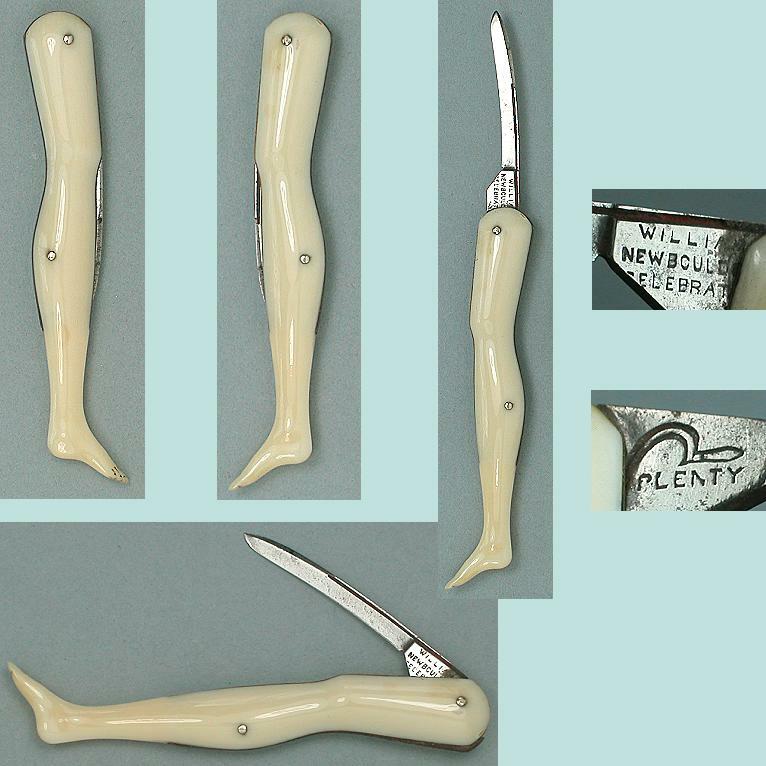 It's a folding pen knife carved in the form of a lady's leg with carved details for her toes. A knife like this is shown on p. 29 of the Shire book "Penknives and Other Folding Knives" by Simon Moore. He says that it was said to be modeled on Lady Ilchester's leg and dates to c. 1870. The condition is excellent with no chips, cracks or other damage. The little blade is sharp and closes nicely with a snap. It is stamped "William Newbould Celebrated" on one side and "Plenty" with a sythe on the other. 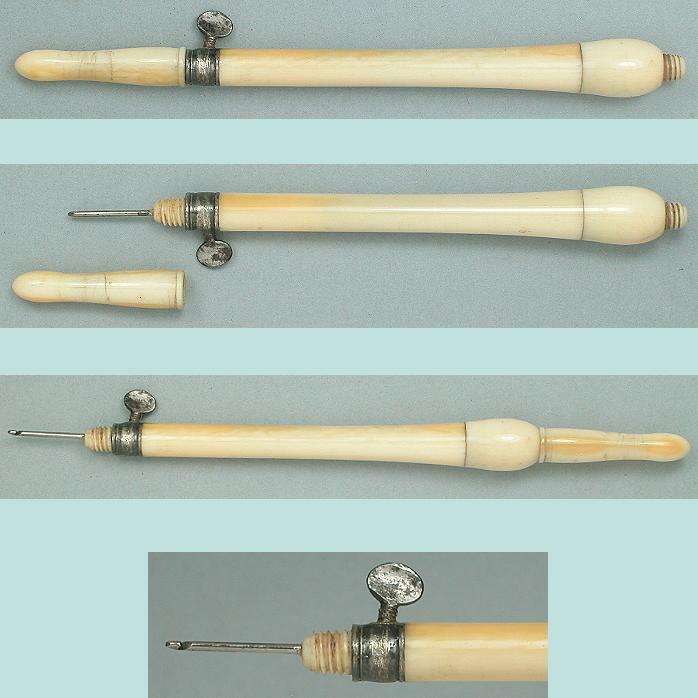 It measures a petite 2 1/2" long closed and 3 3/4" open.